That's no moon! That's right, these are cufflinks. And they'll sure snazz up that monkey suit of yours. 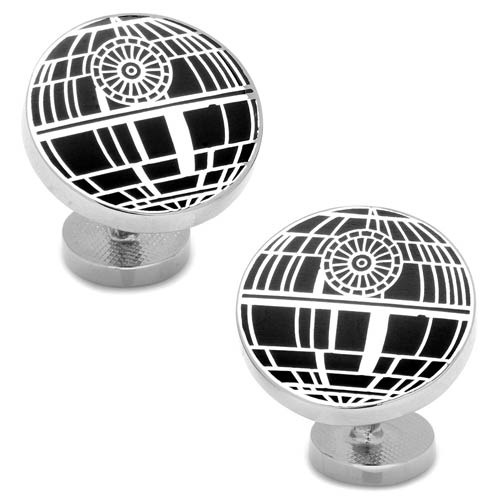 The Star Wars Recessed Matte Death Star Cufflinks are constructed of plated base metal with enamel. They measure 3/4-inches in diameter and feature fixed logo back closure. Officially licensed by Lucasfilm. Ages 12 and up.